Know The 6 Tips Taking Care of Your Eyelashes Naturally. Ever take some gunk out of your eye only to find out that one or two of your eyelashes have become detached? Or have you ever curled your lashes after putting mascara on and realized that it’s the worst possible thing you could do for your eyelashes because you’re looking down on an eyelash curler full of eyelashes? Well yeah, you and me both. Our eyelashes seem to fall out of nowhere or are so easily removed from our eyelids that we wonder why we don’t look back to a bald eye when we look in the mirror. Just like all types of hair though, there are ways that we can make our eyelashes hold on for much longer; and waddaya know, these are all natural home remedies! From chapped lips to smeared mascara, petroleum jelly seems to be a sort of cure-all. Petroleum jelly or white petrolatum, is a semi-solid mixture of hydrocarbons used by consumers as a sort of topical ointment to cure everything from toenail fungus to diaper rash. It can also apparently be used to make your eyelashes fuller and longer. Lashes fall off naturally and do so when they start becoming a little bit heavier at their bases. If you can provide a little bit of strength to the base, as petroleum jelly does, the lashes can hang on a little bit longer and can continue to grow. Another way that this also works is by providing moisture to the hair itself. Petroleum jelly, with its moisture rich properties, makes eyelashes healthier thus preventing any sort of premature breakage. Clean your eyelid area and make sure that your lashes are gunk free (you can even use the petroleum jelly to clean your mascara for this step). Just take a q-tip and dip it into a little bit of petroleum jelly, you don’t need to put on a whole lot of it. Using the q-tip as an applicator, run it along your lash line careful not to get it into your eye, as you would eyeliner. Afterwards get a little bit of the petroleum jelly in between your thumb and index finger and slowly get some of it onto your lashes. You should start seeing some improvement in about 2-4 weeks. TIP: You don’t have to wait 2-4 weeks to reap the benefits though. As soon as you put it on, the oily substance increases reflectance and can add drama and definition to your lashes much like mascara does. 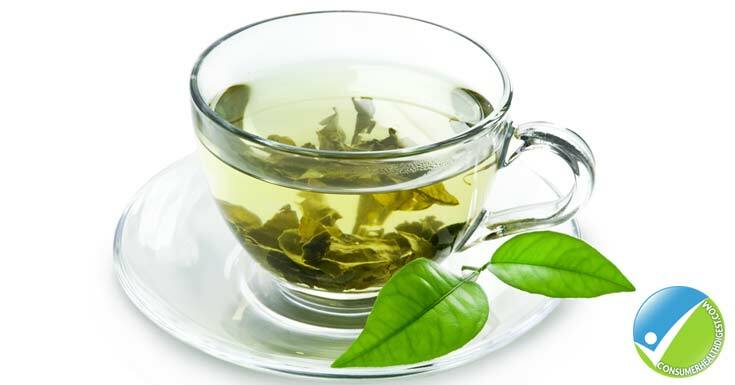 Known for its anti-oxidant and anti-inflammatory effects, green tea is probably the oldest known health drink. In fact, a lot of centennials from Asia attribute their continuous good health to their regular consumption of green tea. Green tea, as opposed to black tea, is not allowed to ferment and therefore retains much of the anti oxidants and polyphenols that benefit us so greatly. To add to its many wonderful properties, green tea has also been known to encourage re-growth of hair, even the ones on our eyelashes. Green tea is known to block and reduce the amounts of DHT in our bodies. DHT, or dihydrotestosterone, is a hormone that attaches itself to the hair follicles and shrinks them. Blocking this hormone would then encourage the hair follicles to continue giving nutrition to the eyelashes and therefore encourage them to grow longer and thicker. Another way that green tea also helps with hair growth is by promoting better blood circulation, which will provide a continuous stream of nutrients to your hair follicles. Again, encouraging hair growth. Make some tea, the way you would when you drink them. Let it cool. You may either dip a cotton ball to the cooled mixture or just use the cooled tea-bags and let them rest on your eyes for 5-10 minutes. TIP: Using the tea-bags on your eyes will not only improve circulation on the hair follicles but on the general area of the eye too. This is going to help a lot with eye puffiness and wrinkles if you have any. Olive oil is known for its moisturizing properties and endless health benefits. It is extracted from the olive fruit by either pressing or squeezing it out of them. This oil has been thought to help slow down the development of some cancers and even heart disease. Rich in vitamins E & K, chlorophyll and carotenoids it is quite potent as an anti-oxidant. Mediterranean women have been reaping the benefits of this oil for centuries. One of their favorite uses for it is for making their (already luscious!) hair even softer and shinier. Luckily, this benefit also extends to shorter hairs like our eyelashes. The effects are similar to that of Petroleum Jelly as it provides much needed moisture to lashes and helps them grow to their optimum length. An added benefit for using this as treatment for short lashes is it could moisturize the skin on the eyes and help prevent the development of crow’s feet or wrinkles. The easiest way to apply the olive oil onto lashes is to just take a clean mascara wand dip it into the oil and apply it to your lashes like you would your favorite mascara. Another way would be taking q-tips, submerge one tip into the oil and using the oil saturated end to apply the oil to your lashes and the base of your eyelids. If the q-tip picks up too much oil, just squeeze it out a little bit with your clean fingers. You don’t want to get all of that oil into your eyes. Lastly you could just take some cotton balls dip it into the oil and then dab it right on to your eyes. 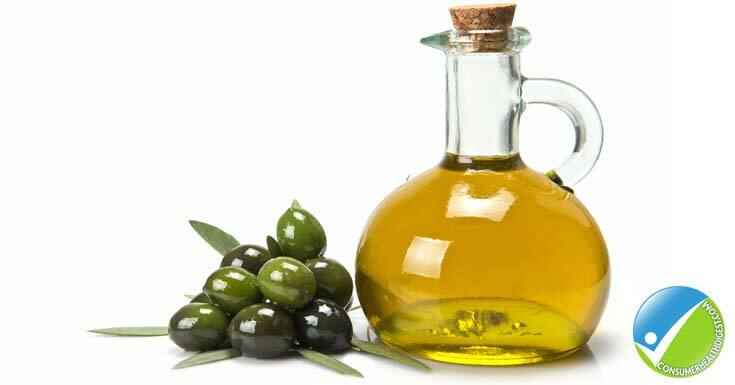 TIP: Use Extra Virgin Olive Oil for the best results. This kind of oil has been produced 100% mechanically by pressing and squeezing so no solvents have ever come in contact with the fruit. TIP: Leave the oil on for about 5 minutes before washing off. To make your olive oil treatment more potent you can add Lemon essential oils into it. Lemon has astringent qualities and will help clean out any gunk left on your follicles by repeated use of cosmetics. Lemon oil is known to have astringent properties and is also known to improve blood circulation. The astringent properties will help clean out the follicles that the hairs grow out of; removing gunk, dead skin cells and residue that you otherwise could not remove with your regular make up remover. This will help make your follicles healthier and healthy follicles means healthy eyelashes. Peal some of the rind off of a lemon and allow it to be submerged in a bottle of olive oil. Allow it to release its oil for a couple of weeks before you start to use it. Once you’re ready to use it apply it like you would apply the olive oil treatment. TIP: Not only will this be good for your eyelashes, Lemon infused olive oil is great with food as well. In the same way that we brush and massage our hair and scalp, doing the same for the area around the eyes will be beneficial to the eyelashes. It’s kind a great way to relax too. Brushing your eyelashes and massaging your lids will help with circulation. This will improve delivery of nutrients to the area and will make your follicles and the skin around your eyes healthier; this should promote the growth and health of your eyelashes. For the eyelash brushing just take either a clean mascara wand or purchase an eyelash brush and brush eyelashes for a few minutes right before bed time. For the eyelid massages, using your ring finger massage the area in circular motion starting from your brow bone going inward. TIP: It is important to use ONLY your ring finger. The skin around the eye is sensitive and any pressure harder than the pressure applied by your weakest finger [ring finger] could cause wrinkles. Listed above is a collection of ways to care for and enhance the health of your eyelashes without breaking the bank or subjecting yourself to harmful chemicals and procedures. Do not forget however, that the inside situation of your body will greatly affect the way you look on the outside. So take care of your health so you can enjoy the beauty of your body for longer.